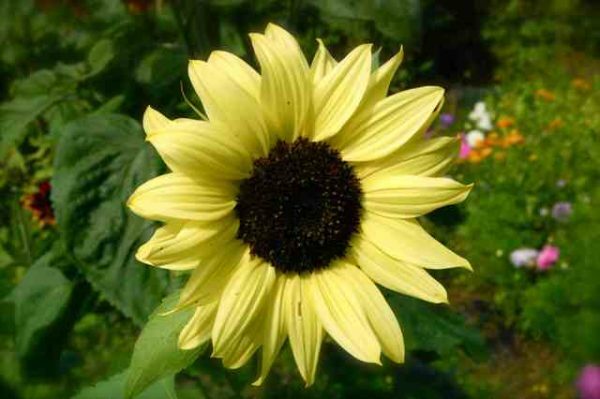 These are wonderfully traditonal sunflowers. Delightful lemon yellow flowers with black centres. With the added benefit of branching from the base, so you get multiple blooms. The long stems make these a really super cut flower to have in your portfolio. *Sow April until late June. You can start them in pots but I find they don’t get on to well with root disturbance when moved. Sow 1.5 cm deep and keep the ground moist whilst they find their feet. Space at least a foot apart. May need staking.